A new white revolution is under way… Tired of being sold residual sugars–laden wines? Time to discover this new and incredibly aromatic dry French white wine. Sixth in the Vins Harmonies range available in all IGA outlets its exotic, Californian profile – think White Revolution, but sugar–free – and its aromas of passion fruit, papaya and lime will seduce you. Moreover, this wine is sold at a price that defies any competition! It is, as a matter of fact, the most affordable of all the European wines elaborated by François Chartier and his partners to date. 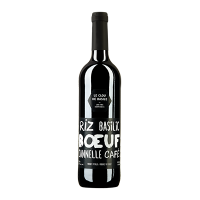 Originating from the great Southwest of France and the exceptional 2015 vintage, it was elaborated to perfectly harmonize with anything you have in your fridge or pantry, as well as sushi, fried chicken and even poutine! Truly, there is a white revolution under way! The brand-new L’épine de la Rose vintage of dry rosé wine is the 5th in the Vins Harmonies range now available at your IGA Grocery store. This vintage was born of the gorgeous 2015 Mediterranean crop and elaborated by François Chartier in collaboration with Bordeaux oenologist Pascal Chatonnet at Clos des Augustins, a ORGANIC (biodynamic) culture domain located in the Pic Saint-Loup appellation of the Languedoc region. At once full-flavoured, complex and smooth ¬ thanks to a selection of very old grenache noir vines rounded out with a higher proportion of syrah to spice-up and invigorate its aromatic profile—, this rosé will undoubtedly become another consumer favourite among the wines created by producer and wine vintner-merchant Chartier Créateur d’harmonies! François Chartier has indeed become a reference in rosé wines in Québec. 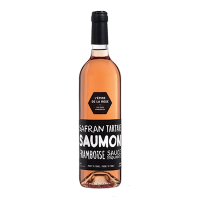 For three consecutive years, one of his rosé wines was selected in the top three best rosés of the year available in Québec by wine critics. This new Spanish red wine available since August 27, 2015, is created from grapes grown on very old vines between 45 and 65 years old. It was created with the help of Isaac Fernandez, of of the great Spanish winemakers who spent the first 25 years of his life in the mythical Vega Sicilia. This new wine is very aromatic, ample, juicy, one might even say plump, with blended tannins, devoid of woody notes and chock-full of red fruit and spices. It was elaborated to pair beautifully with all types of grilled foods, whether it’s meat, fish or vegetables, with barbecue- or chipotle-based sauces, dark chocolate, spices, sesame, strawberries, ginger, tarragon, coffee, bell peppers, cloves, beets, vanilla, smoked paprika, and many more. Straight from the heart of Italy, where some of the best wines in the world are created from the best and noblest of Italian grape varietals, the cuvée Le Clou de Basile is lusciously mellow, fully textured and presents a vivid aromatic profile along the paths of cloves and basil, hence its amusing, almost Québécois name (cloves being “clou” in French)! It will work wonders with your grilled or roasted beef dishes, steak spices, duck or game, as well as any dish with tomato sauce, mozzarella, bacon, basil, cloves, ginger, cinnamon, cranberries, plums and coffee. A wine could hardly be any more Italian than this! Born of the best terroirs and hillsides of the South of France, this red wine was crafted with incredibly aromatic grape varietals with elegant tannins and a fresh yet complex aromatic profile along the paths of black olives and star anise, hence its very Mediterranean name, as well as black pepper, red fruits and flowers. This red wine will be the perfect companion to your meat dishes, especially lamb, seasoned with pepper, black olives, thyme, rosemary or star anise. It will also work wonders with root vegetables such as carrots, turnips, celeriac or Jerusalem artichokes. Composed of noble varietals from the South of France, La Pêche Mignonne is a dry white wine with an aromatic profile that leads us straight to the aromatic paths of lobster and peaches, two ingredients that are at the base of this wine’s name (“pêche” both means peach, the fruit, and “fishing”, in French. Also on the same aromatic path are shellfish, salmon, pork, flowered rind cheeses such as Brie, coconut, apricots, honey and nuts. This dry white wine is perfect for red wine lovers, being all at once round, fresh and mineral in character. 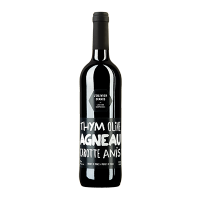 Thus, five high-quality European wines selected, assembled and aged by François Chartier, the producer and wine vintner and merchant, are now available: LA PÊCHE MIGNONNE, a white wine from France, L’OLIVIER D’ANIS, a French red wine, LE CLOU DE BASILE, an Italian red wine, L’ÉPICÉ NOIR, a Spanish red wine made with very old vines, as well as the latest newcomer, L’ÉPINE DE LA ROSE, a French rosé available since May 4, 2016. It is truly a first in grocery stores to find wines created “by and for” food in collaboration with artisan winemakers from the best Spanish, French and Italian terroirs, some of which operate according to biodynamic principles, which is the case of the French rosé and white, as well as the Spanish red. Maison des Futailles rejoices at this opportunity to collaborate with François Chartier whose result is the introduction, in all IGA stores, of a range of three new, high-quality wines directly inspired by the aromatic and gastronomic science of the world-renowned sommelier. For these wines, he followed the same aromatic paths as three of the six wines in his highly successful “Créateur d’harmonies” range of wines sold at SAQ and, once more, Chartier asked four of the same original European artisan winemakers: the Mezy family from Clos des Augustins in Pic Saint-Loup, with whom he created his Blanc de Chartier and Rosé de Chartier available at SAQ; the Jaume family from the Domaine Jaume à Vinsobres, with whom he created his Côtes-du-Rhône Chartier, available at SAQ; the Moretti family of Petra Wines in Tuscany, where he also created his Toscana Rosso Chartier available at SAQ; as well as the Spanish duo of Aurelio Cabestrero et Isaac Fernandez with whom he created his tempranillo-based Ribera del Duero, also available at SAQ. He also called upon his partner in crime, renowned Bordeaux oenologist Pascal Chatonnet, who collaborated to the creation of all of Chartier’s wines and who also acted as a consultant during the writing of Chartier’s best-seller, Taste Buds and Molecules, a book that was rewarded with the title of Best Innovative Cook Book in the World at the 2010 Gourmand World CookBook Awards in 2010. L’Épine de la Rose, a new vintage of dry rosé wine, the fifth in the Vins Harmonies range, was born of the gorgeous 2015 Mediterranean crop and elaborated by François Chartier in collaboration with Bordeaux oenologist Pascal Chatonnet at Clos des Augustins, a biodynamic culture domain located in the Pic Saint-Loup appellation of the Languedoc region. At once full-flavoured, complex and smooth thanks to a selection of very old grenache noir vines, it is rounded out with a higher proportion of syrah in order to spice-up and invigorate its aromatic profile. L’Épicé Noir, a Spanish red wine from very old vines, between 45 and 65 years old, that is very aromatic, ample, juicy, one might even say plump, chock-full of red fruit and spices and that will pair beautifully with all types of grilled foods, whether it’s meat, fish or vegetables, with barbecue- or chipotle-based sauces, dark chocolate, spices, sesame, strawberries, ginger, tarragon, coffee, bell peppers, cloves, beets, vanilla, smoked paprika, and many more. La Pêche Mignonne is a dry white French wine that is guided by an aromatic profile that will create harmonies with dishes that share the same path as lobster, pork, salmon, peaches, coconut and flowered rind cheeses. 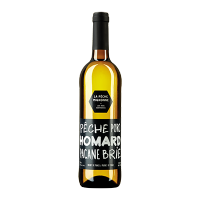 Its name, La Pêche Mignonne, was inspired by peaches and fishing (pêche, in both cases, in French), since Chartier followed the aromatic profile of these ingredients to select the grape varietals that were used to create this white wine from the South of France. 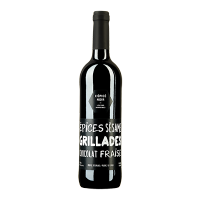 L’Olivier d’Anis, is a French red wine that is guided by an aromatic profile that will create harmonies with dishes that share the same path as black peppercorns, black olives, lamb, grilled meats, thyme and star anise. Its name, L’Olivier d’Anis, was inspired by black olives and star anise, since Chartier followed the aromatic path of these ingredients to select the grape varietals that were used to create this red wine from the South of France. Le Clou de Basile, is an Italian red wine guided by an aromatic profile that will create harmonies with dishes that share the same path as grilled or roasted beef, steak spices, deeply simmered tomato sauce, sun-dried tomatoes, basil, cloves, plums as well as wild and brown rice. Its name, Le Clou de Basile, was inspired by cloves and basil, since Chartier followed the aromatic path of these ingredients to select the grape varietals that were used to create this Italian red wine. “Just as was the case for my first range of wines available at SAQ since October 2013, I also crafted the wines in this new range ‘by and for’ food. The labels of the first four high-quality wines in the Vins Harmonies range illustrates, not unlike your grocery list, the ingredients that belong to the aromatic family at the base of their creation, giving you the keys on the ingredients to pair with it, making wine and food pairing easier than ever. I am thrilled that IGA customers will now be able to fully experience the Chartier harmonic science thanks to these high-quality wines that are typical of their terroir” enthuses François Chartier. IGA has always held as main tenets their collaboration with local entrepreneurs, launching exclusive products as well as showcasing a uniquely diverse range of brands to their consumers. The Vins Harmonies range of wines will allow Québec’s consumers to taste the unexpected and live culinary experiences that will thrill their taste buds. “IGA is proud to offer this unique range of wines selected by Chartier ‘Créateur d’harmonies’, because this totally aligns with our philosophy of proposing distinct quality products that inspire consumers to discover, cook and enjoy food” declared Pierre Labelle, Grocery Vice-President for Sobeys Québec. In this spirit, IGA recently launched an important program titled The Joy of Eating Better, which will guide all of the company’s actions. The goal of this program is to encourage Québec consumers to cook, discover, make sensible choices and eat better. To achieve this goal, the chain called upon three star ambassadors who are true good food passionistas: Josée di Stasio, Christian Bégin and Stefano Faita. Each of them will collaborate with François Chartier to create recipes that are ideal for his Vins Harmonies range of quality wines. Those recipes will be available in the store’s flyers in September. THE WINE AISLE OF IGA STORES IS REVOLUTIONIZED! Since September 25, 2014, thanks to a partnership between IGA and François Chartier “Créateur d’harmonies”, a new range of exclusive, high-quality European wines is available in all Québec-based IGA stores and groceries under the Sobeys banner, marking nothing short of a revolution in the field of wine and food pairings: Les Vins Harmonies. Following the immense and immediate success of the first three European wines created by Chartier Créateur d’harmonies, Sobeys-IGA asked François Chartier to create a fourth one. He proposed a Spanish red wine from very old vines—between 45 and 65 years old ­ which hit the stores in September 2015. He’s back once more with a fifth offering, a French rosé wine, L’Épine de la Rose, which officially arrived in stores on May 4, 2016. But that’s not all: a sixth creation, a French dry white wine, will also be launched just in time for summer! Merely a month after they were launched, in September 2014, Sobeys-IGA decided to offer them through additional points of sale due to the immense success of Les Vins Harmonies: Rachelle-Béry, Les Marchés Traditions and Bonichoix.